Calling all trailblazers! 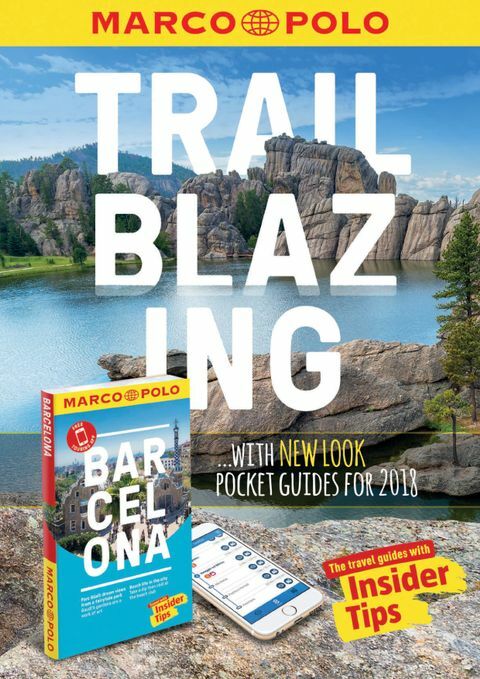 Marco Polo has never been one to follow the crowd: since they burst onto the scene in 2012 and turned the travel publishing world upside-down, they have been pursuing a quest to create the best travel guide possible ever since! Each book has 4 to 5 exciting, specially tailored tours helping readers get behind the scenes and head off the beaten track. The perfect planning tool – each tour has an overview box detailing the start and end points, distance, plus timing and costs involved – all the information an explorer needs at a glance! Each tour is plotted on an overview map highlighting the start point and final destination for easy orientation. A detailed flow chart with pictograms clearly shows the way – including distance indicators, sights to explore, views to enjoy en route and plenty of Insider Tips for relaxing stops along the way. Relaunch titles available 1st Jan 2018: Amsterdam, Bali, Barcelona, Cambodia, Cape Verde, Corfu, Costa Brava, French Riviera, Hong Kong, India South, Italy, Lake Garda, Mallorca, Malta & Gozo, Mauritius, Montenegro, Munich, New York, New Zealand, Rome, Sardinia, South Africa, Sri Lanka, Tenerife, Venice, Vienna. Marco Polo travel guides are also available for competitions, giveaways and extracts.